First things first, put your worries away! We are not about to tell you that your coffee drinking days are over. We know that each shot of caffeine is crucial and we cherish our coffee, too! Here at Discovery Dental, we want to educate you on what causes coffee stains and what you can do to fight them. It’s no secret how Shelby residents feel about their coffee, and we’re not about to get in the way of that love. However, we will help you keep your smile healthy and beautiful with tips that won’t drastically affect your lifestyle. Dr. Marissa Miller and the rest of us at Discovery Dental are your oral health allies! Coffee is the one of the biggest offenders when it comes to stained teeth in Shelby, and the discoloration can be so bad it mimics cigarette stains. So what’s the secret? What can you do to keep your teeth shiny, but still get your caffeine fix? 3) Whiten Your Teeth. 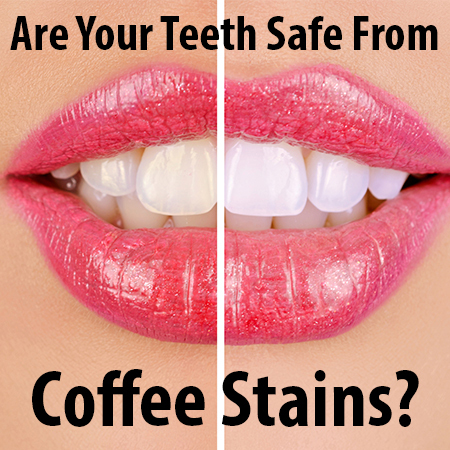 Do your teeth currently have stains due to coffee or other offenders? If they do, one of many different types of teeth whitening treatments may be a possibility. As always, it is best to consult Dr. Marissa Miller before whitening your teeth and our Shelby dental professionals will help you design a treatment plan suited to your needs. Here in our Shelby office, it is our mission to do everything in our power to help you keep in all around (not just oral) perfect health. We at Discovery Dental are here to help you choose the best option to make stains disappear and keep your teeth safe from harm. Should you find yourself with any questions regarding coffee stains, whitening, or anything else, don’t hesitate to schedule an appointment with Discovery Dental today!